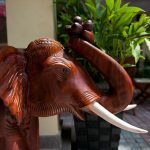 Housed in a beautiful colonial-style building, Villa Grange provides charming accommodation in Phnom Penh. It houses an outdoor swimming pool and a private restaurant. Free WiFi is offered throughout the property. 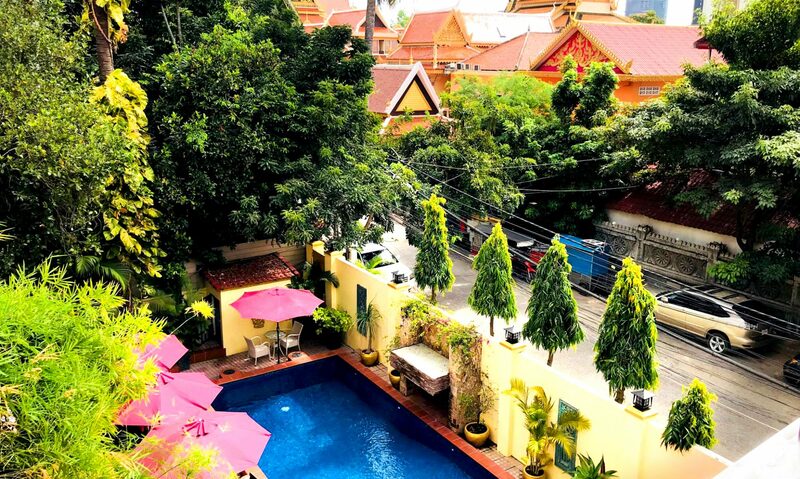 The accommodation is only 300 m away from Royal Palace Phnom Penh. Located only 800 meters from the Riverside area, and only 50 meters away from Wat Botum. Phnom Penh International Airport is 9 km from Villa Grange. Rooms feature traditional Khmer-style décor with modern amenities. Each is fitted with air conditioning, a minibar and a DVD player. They also have an attached bathroom with free toiletries and heated showers. 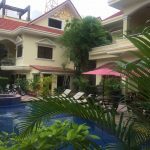 Villa Grange Hotel provides reasonably priced hotel rooms near the riverside in Phnom Penh. Centrally located,the hotel is just a 3 minute walk to the Riverside; a perfect spot for business travellers and tourists alike. Relax in quiet in the heart of town. A full CCTV service is supported by our 24 hour Security. Breakfast, Lunch and Dinner of both Western and Asian foods are served at our own restaurant. If you like soft beds, separate showers with full strength hot water and all modern amenities, you will find your expectations me staying with us. Great place to stay! It's quiet, relaxing, the pool was the best!!! Was made to feel very welcome apon arrival, nothing was too hard for staff to do. Great staff. I had the Queen Standard. The room was very clean, the bedding was fresh and was a great place for me to relax. Air con worked perfectly! The location was great, close to the centre of town but also located on a very quiet street. My only regret was that I only stayed 8 days!! The highlights of my stay would be the food, outstanding! The pool, the staff. Everything was great! Many thanks to the staff ! Thank you for your hospitality & great Australian steak. That was an unexpected experience in the middle of Cambodia. Ps. I can confirm close location to Royal Palace and other tourist attactions. 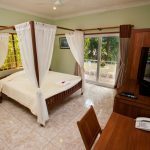 The Villa has been recently refurbrished and is being kept in a perfect condition.